Primely situated on the edge of Soho and just a seven-minute walk from Oxford Circus, The London EDITION is a faultless blend of edgy elegance. 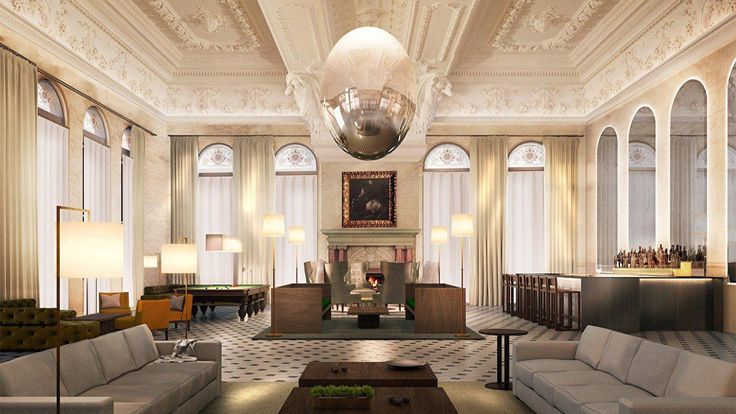 The brainchild of American entrepreneur Ian Schrager, the once co-founder of Studio 54, it’s a bucket list London stay that doesn’t disappoint. Upon stepping inside, one is left somewhat open-mouthed at the splendour of the lobby. Swiftly captured by the sheer opulence, it’s a room within itself, doubling as a meeting space come day or night with it’s statement, low-lit bar and stylish seating area. 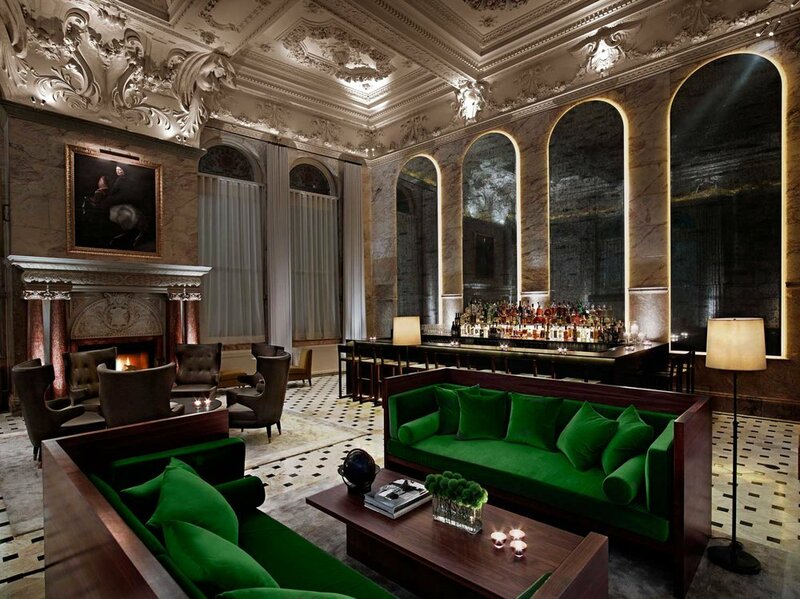 A destination of sorts, the hotel conquers the quintessential magnificence of London with it’s social hub spirit. Whether staying the night or just spending a few hours hiding out from the hustle and bustle, the hotel’s selection of hangout spots is exceptional. Starting with bespoke cocktails at the Punch Room to the back of the building, followed by dinner at the now infamous Berners Tavern, a dining delight directed by famed Michelin-starred chef Jason Atherton; while later winding down the evening back to the lobby bar for a night cap where the atmosphere sparkles with out-of-towners and locals alike. Retiring to your room, guests are treated to a minimalist affair; one that lovers of contemporary interiors will really appreciate. Cosy in a chalet way, the rooms are a true escape; the perfect place to unwind. From loft to penthouse, each room captures the essence of old world London while being flawlessly à la mode. 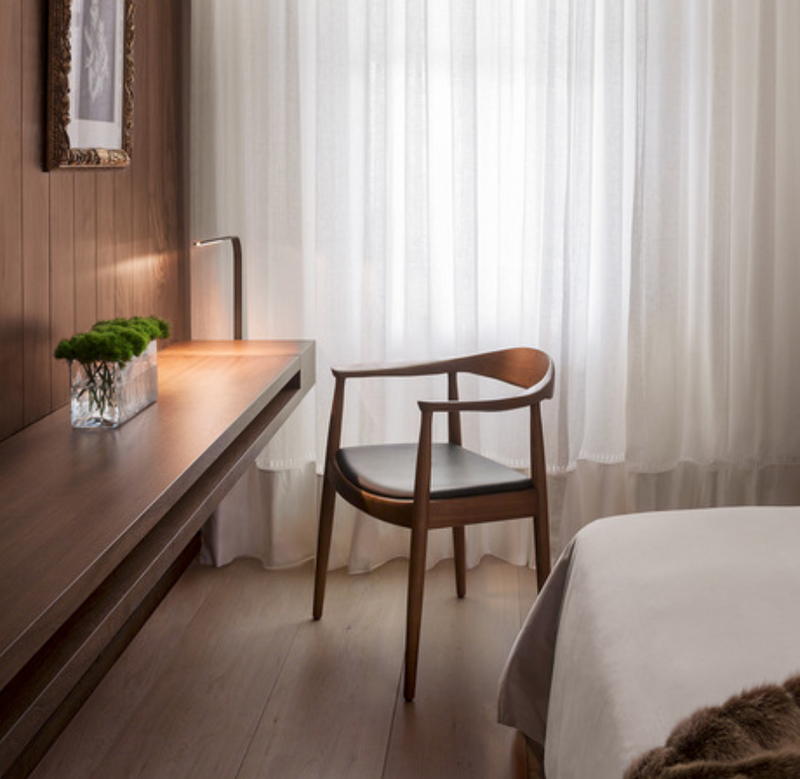 Wood panelled walls lend themselves to the perfect contrast of crisp whites and calming tones of modern luxuriousness, while an array of amenities make you feel right at home. The London Edition is a new generation of luxury with an attainable feel at the heart of exactly what makes London have that London feel.